Pittman is a 6-2 220lbs junior linebacker who mainly contributed on special teams last year as a sophomore but has really gotten the attention of the top college programs in the nation. Currently Pittman holds over 30 offers, but more recently he verbally committed to the South Carolina Gamecocks. "I chose South Carolina because I have a very good chance of going in there and competing for a starting job right away," said Pittman. "I love the campus, living arrangements, the coaches, and what South Carolina has to offer. They just really went at me the hardest during recruiting and that's what stuck out to me the most." Pittman is quick to point out he brings leadership, courage, and swag to his team and his ability to cover and make sure tackles are his best assets as a player. His love for football was manifested by seeing his uncle play when he was a youngster but it was when he stepped into Middle school the game really opened up to him even more. "Watching my uncle play as a kid I knew that's what I wanted to do. When I got to middle school I had some great coaches who made me work and earn everything. They showed me football from the offensive side and the defensive side of the ball and told me I would be one of the best if not the best linebacker coming out of high school I just put it all together when I got to First Coast and its coming together nicely for me, said Pittman. Sherrod's goals for the 2013 season is to help lead his team back to a place where they seem to check in at every year, the playoffs. He feels as one of the leaders on the team, its up to him to get his teammates on one accord for the fall season so they can have the best defense in the state. 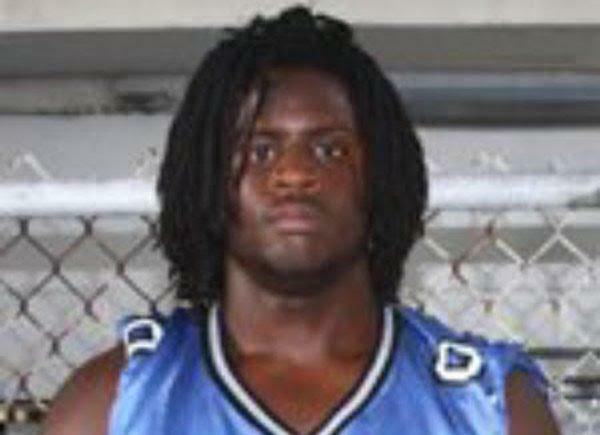 Florida prospects will keep you posted on Sherrod Pittman's Junior season. Cons- needs to keep speed at 4.6 4.7 range as he gains weight.. would like to see him play with more hands out in front of him and polish up some things in his pass coverage ability when he is at outside linebacker.